Taking time to get an initial assessment with a certified trainer will pay back dividends on attaining your fitness goals. Get a baseline on how your body moves, protect yourself from potential injuries, and conquer your goal today! The initial assessment is a 45-minute movement based session with a Castle Hill Fitness certified personal trainer. The testing protocol gives you a baseline of how your body uniquely moves in seven different movements in varying planes of motion. Whether you are just beginning an exercise program or just getting back into fitness – this session is crucial to your journey. 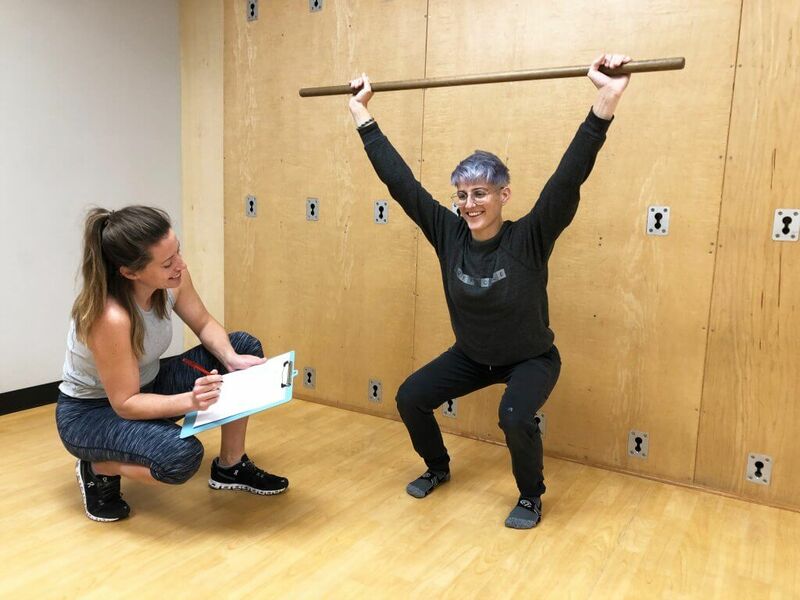 Based on your goals and the results of your assessment, our trainers can recommend classes, services, and help you plan your next big fitness victory! You can retake your assessment over and over to see improvements over time. AVAILABLE FOR MEMBERS AND NON-MEMBERS ALIKE!